When you have a dental emergency, you don’t want to wait. You need a dentist who can see you immediately. At Premier Walk-in Dental, we specialize in providing emergency dental care the moment you or a loved one walks in to our office. Rockledge emergency dentists Drs. Nichols and Collins will know exactly what to do to treat your emergency, so you are free of pain and worry. 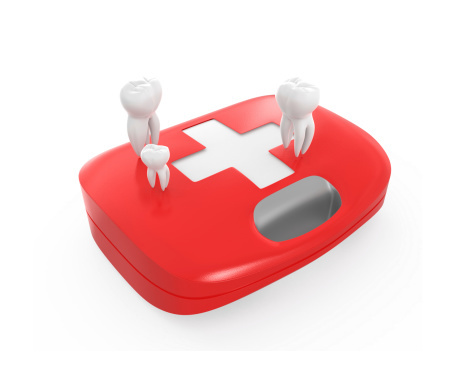 Until you arrive at our office, however, it’s important to know how to handle different kinds of dental emergencies. Read on to learn what you should do. A knocked out, or avulsed, tooth requires urgent care whether that tooth is a child’s baby tooth or an adult’s permanent tooth. In the case of an adult, your Palm Bay emergency dentist may be able to reinsert the tooth if treatment is given within 30 minutes. If you have the tooth, do your best to touch only the crown and avoid the root where live tissue may still be attached. Gently rinse the tooth in cool, running water. You may want to place a towel in the sink to block the drain. If there isn’t too much bleeding, then try to place the tooth back in its socket and gently bite down. If you can’t hold the tooth in the socket, then transport the tooth in a sealed contained filled with milk. This will help preserve the tooth’s pH balance. If you sustain a hard blow to the face, then you may notice that one of your teeth is loose or out of alignment. Don’t panic. Using very gentle pressure, Gently use your finger to try to move the tooth back into position. Never force the tooth to move. Your Rockledge emergency dentist may be able to stabilize the tooth against adjacent teeth with a splint. A fractured or broken tooth may mean there is damage to the inside of the tooth, as well as the outside. For this kind of dental emergency, Rockledge dentists Drs. Nichols and Collins will want to see you ASAP. In the meantime, rinse your mouth with warm water; apply a cold compress to the side of your face to reduce swelling if there has been trauma; and take acetaminophen to alleviate pain. If you are contending with a dental emergency, then don’t wait for treatment. Head immediately to Premier Walk-In Dental in Rockledge, FL, for urgent care.